Stainless steel and sterling silver offer similar gray blazes attracting many jewelry buyers. Despite this color similarity, they are very different materials. They are even exact opposites in some aspects like the tendency to tarnish or durability. And this makes decision making a little complicated. When the moment of truth arrives, it’s not always easy to choose between the two. Luckily, we are here to make your life easier! What is the stainless steel? Stainless steel is a steel alloy. It contains iron, chromium and nickel, besides other metals. Stainless steel is used in many areas from jewelry to kitchenware, even to biomedical. There are distinct qualities of stainless steel for different purposes. For example, the addition of molybdenum significantly increases the corrosion resistance. Monochromatic stainless steel means one-color stainless steel. This alloy of steel is widely used in kitchen appliances. Not every stainless steel is the same. The alloy changes with every variation in percentages of metals included. So it is impossible to give an exact density value for stainless steel. Is stainless steel good for jewelry? 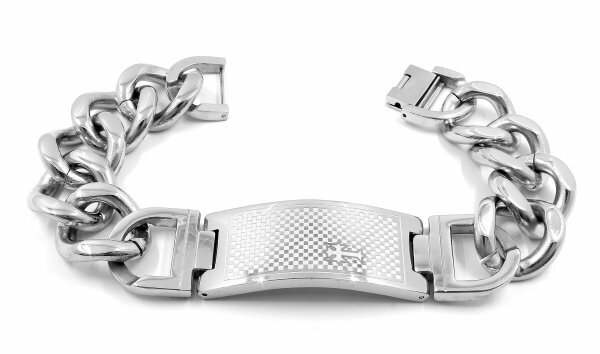 Nearly all the jewelry you will come across will be made of 316L stainless steel. This alloy of stainless steel is surgical level quality steel. This means when you check the jewelry you are considering, and you definitely should, if the quality of steel used is 316L, you’re probably ok! 316L steel jewelry is durable and will serve you many years. It does not tarnish or corrode. Moreover, you can be sure it is nickel free, thus it is hypoallergenic. If you do not have a very specific allergy to other metals in the alloy, you can enjoy this cool jewelry. Be aware of low priced steel jewelry, which lack the production quality levels of 316L steel. These pieces will not serve as long as 316L steel. Low quality steel may cause skin irritation. It may become visually unattractive. 316L steel is also very easy to clean. A mild soapy water and a piece of cloth are usually enough to get rid of the dirt and grease. Long story short: make sure you are buying a 316L type stainless steel jewelry. What is the sterling silver? Sterling silver is an alloy of silver very widely used in silverware and jewelry. It is not quite possible to use pure silver in jewelry or in household materials like flatware, because it is too soft. Thus, we need a more durable material; and here comes sterling silver. Sterling silver has 92.5% silver and 7.5% other metals, which is most of the time copper. You may easily recognize sterling silver jewelry by the stamps: “92.5%,” “.925” or “925” are common engraved marks jewelry and silverware have. Sterling silver is not alone. There are other alloys of silver used in jewelry and other fields. Argentium silver is one example of different alloys of silver used in jewelry. It has germanium in its composition in order to make it harder but also less prone to tarnish. Most common forms or Argentium silver is 935 and 960, which have a silver percentage of 93.5% and 96% respectively. Moreover, we do define the US dollar and British Pound thanks to silver! 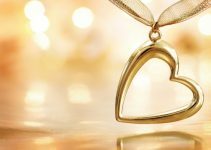 It is no surprise this precious metal is used as jewelry. Sterling silver beautiful but it’s not a rose without thorns. Unfortunately, sterling silver jewelry does tarnish. But there are simple ways to restore its brightness. As it gets contact to air and humidity, it tends to use its luster. Furthermore, chemical agents like perfumes and deodorants increase this process. Sterling silver is hypoallergenic, if it does not contain nickel. Don’t forget there is a 7.5% percent of metals in the alloy which are added to increase its durability and make it harder. If this part contains nickel, then you may come across unwanted side effects. However, if your sterling silver jewelry is nickel-free than there is very chance that you can enjoy and carry it without any hesitation. If you want to your sterling silver jewelry to keep its lustrous look, you have little work to do. First, to prevent and postpone as much as possible any tarnish, don’t wear your jewelry at the pool or beach. Don’t shower with your sterling jewelry. Never leave them wet. Always make sure you have dried them. Take off your silver jewelry when doing cleaning and garden work. Keep it away from perfumes. Make sure your jewelry comes last, always after deodorants, while getting ready to go out. Avoid physical contact with harder materials. It is not a good idea to wear sterling silver jewelry during a high adrenalin outdoor adventure! After taking it off, wipe it with a dry and soft piece of cloth. It would be best, if you keep sterling silver jewelry in separate pouches, preventing airflow and physical contact with other jewelry items, which may cause scratches. While both having the similar color, they differ in many areas. Stainless steel is much harder and durable than sterling silver. This means it is more resistant to physical effects and scratches. On the upside, it is much easier to resize sterling silver ring thanks to its softness. 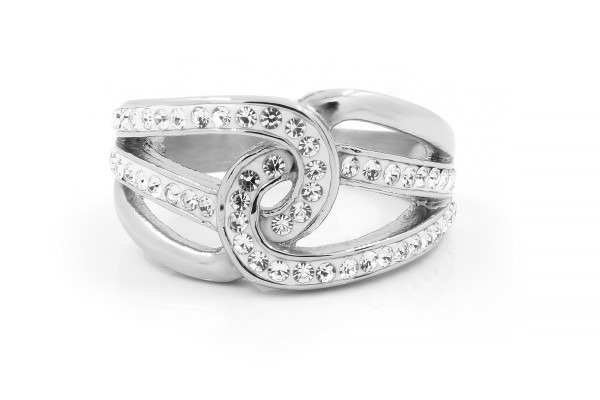 Silver jewelry also tends to be a third lighter than same volume of stainless steel jewelry. Sterling silver does tarnish while stainless steel holds its cool look. If you want to jump in the lake or take a shower with your jewelry, sterling silver is a no-no. Both will be hypoallergenic, as long as they are nickel-free. A large part of your decision will depend on the look that you are trying to achieve. If you want a more authoritarian look, hardened-type of jewelry to compliment your fashion choice, then stainless steel is for you. In addition, it demands far less maintenance, and you can store it for years without having any tarnish building up. However, if you want to opt for a softer approach, then sterling silver offers definite advantages and is often less expensive. And, as said above, you will have to make more effort on care and maintenance of your sterling silver jewelry. You should keep it away from water and chemical agents to prevent tarnish and also when it does occur another cleaning work awaits you for removing tarnish. Never forget: the better you take care of your jewelry, the better it will take care of you!